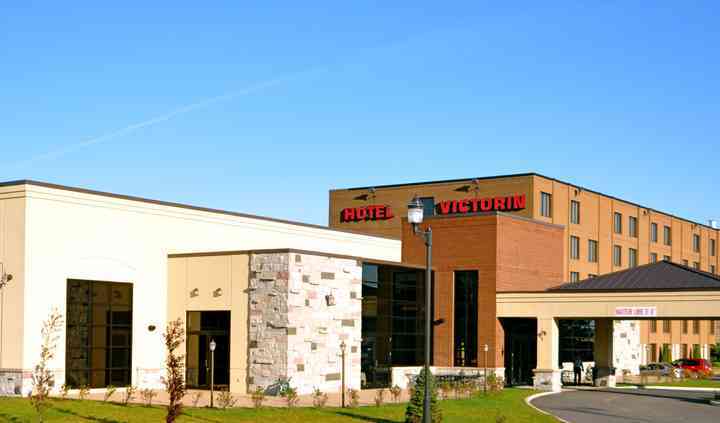 Hôtel Le Victorin is situated in Victoriaville in la belle province and features several stellar options for weddings. 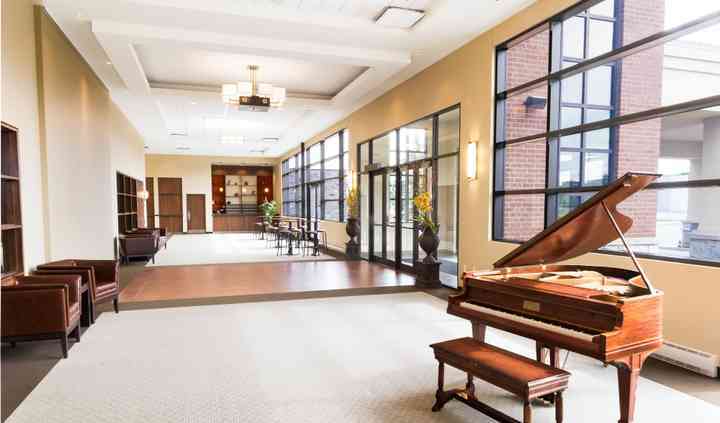 Family and friends can also take advantage of indoor pool, an exercise room, Spa Azur as well as the nearby park and golf courses. Guests can enjoy one another's company, the tranquil and joyous ambiance of the special occasion and the variety of outdoor activities. 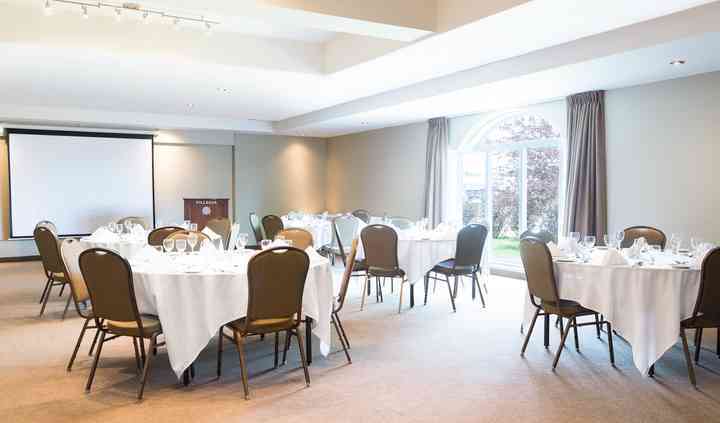 The Hôtel Le Victorin offers its banquet halls and ballrooms as well as outdoor areas for wedding receptions, ceremonies, rehearsal dinners, engagement parties and bridal showers. Depending on the set up, capacity ranges from small and intimate to medium-sized nuptials. Their services consist of accommodation, the provision of a cake, catering, bar, set up and take down, lighting, sound and dedicated event planning. Event items such as chairs, chair covers, tables, a photobooth, barware, a chocolate fountain, glassware, linens, decorations and drapery can be provided. The future newlyweds can choose between having a buffet, cocktail reception, dessert, family style eating, hors d'oeuvres, plated food and the use of server(s). In addition, there is also the option for tastings. 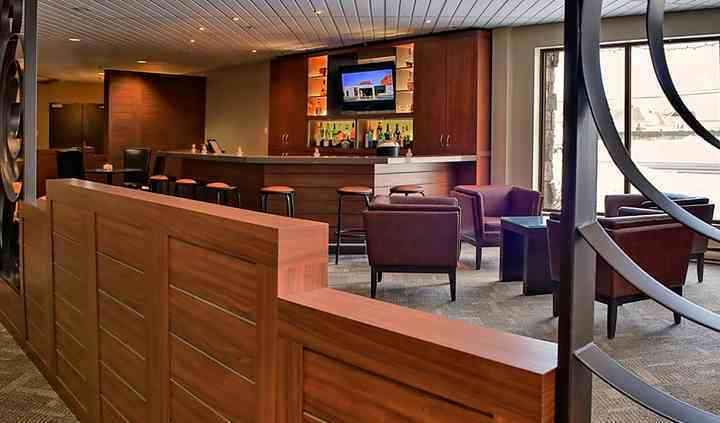 The bar can be limited or open and includes a champagne toast. In total, the hotel contains 152 rooms and suites which combines tranquilty with a functional environment and modern amenities. Of the 152 options to choose from, 137 are regular, 5 are adapted regular, 8 are suites and 2 are luxurious suites.